Did you decide one of your resolutions for the New Year would be to save money? I know one of mine was. But where does your money go every month? You have to sometimes wonder if the same little creature that steals socks from your laundry is somehow swiping your debit and credit cards or writing checks in your name. We all know that we need to save money and plan for the future. We might be tempted to run a marathon up hill in the snow before sitting down and seeing where money goes every month. 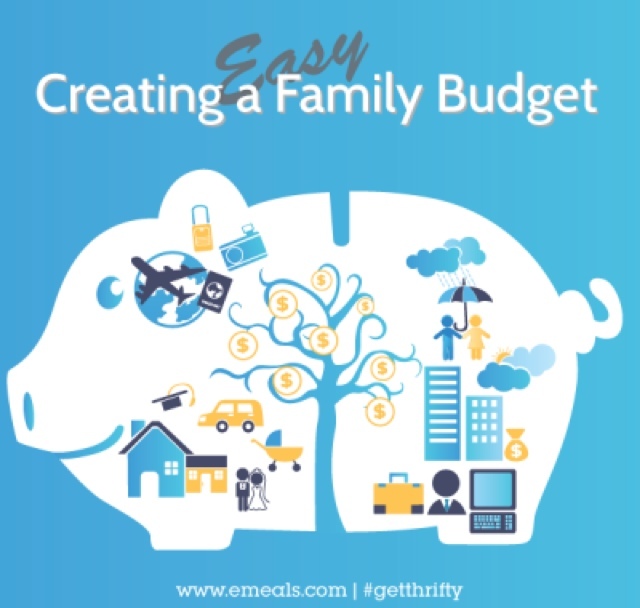 Before you throw in the towel and decide to give up on your New Year's Resolution of saving for your kid's college tuition, that family trip you've always wanted, or simply getting out of debt, give budgeting a shot with the following steps. 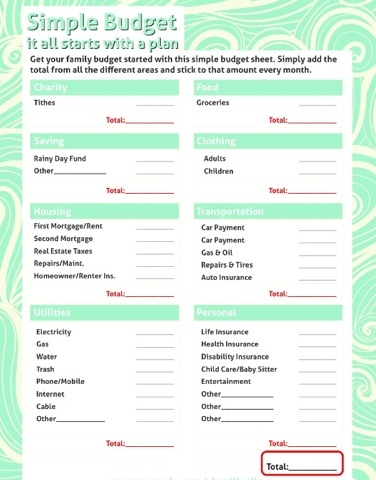 Step 1 - Print off the budget form that can be found HERE or click the image above. Step 2 - Write down what you are spending on a monthly basis. If you aren't sure, give it your best guess. Step 3 - Total each category in the total fields. Step 4 - Total all the categories at the bottom. You have taken the first step in setting a budget and moving toward your saving's goals. Let 2013 be the year you accomplish your resolutions. Share with how you are saving money and budgeting this year by using hashtag #getthrifty. Thanks to www.emeals.com for this helpful budget sheet. Check them out to see how you can save $1,000 each year on groceries. For a limited time E-Meals is offering an exclusive coupon code for Nanny2Mommy readers. 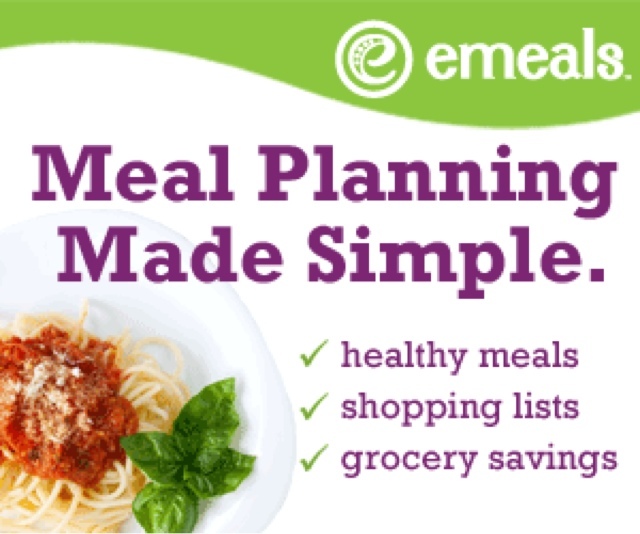 You can use the discount code BUDGET for $3 off any eMeals dinner meal plan subscription! This is a sponsored post. To view my full disclosure policy, click here. I started Financial Peace university! I hope I mostly some major dents in our debt. That's a great budget sheet! Thanks for offering it! Found you through Bloggy Moms. So far so good in the first few weeks of 2013 on our budget. This sheet will come in handy to keep us...ahem, me on track. Budgeting is our resolution too! I did great sticking to it pre-kids, but since having kids I haven't followed it. Hoping to stick to it this year. Visiting from Sunday Sync. Hope you have a great week! Thank you so much for the budget sheet and useful tips!I am glad that i finally found someone similar to me in terms of approaching towards personal finance! Such great advice! I'm really looking forward to reading all your other budgeting posts. I'm awful at saving... But it's my main goal over the next couple of years. I've just recently started using cashback sites and now I definitely need to start tracking my spending!